Assessment of older adults, particularly those who are multimorbid, complex, or frail, requires a broader interprofessional assessment. This approach is referred to as comprehensive geriatric assessment and includes health and non-health domains. The assessment is completed with an interprofessional team, and the process focuses on the functional abilities and values and goals of the patient, rather than cure or simply chronic disease management. The assessment has many domains, including cognition, function through activities of daily living, nutrition, social supports, and others. Pharmacists have an important role to play in contributing to the geriatric assessment through feedback on functional performance of the patient and through assessment of medications. 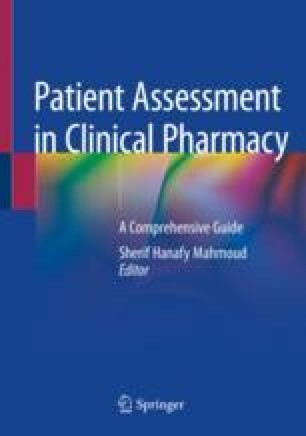 Medications can be assessed for appropriateness through explicit and implicit criteria, with the Beers criteria being the most universally applied. Functional management of medications is also an important aspect to measure, and while there are many tools to measure this, there are few that can be integrated into daily practice. The wide variety of tools and resources available can support pharmacists in contributing to the geriatric assessment through an interprofessional team or through an individual practice in a community.